Every couple dreams of getting married in a beautiful place where they can create wonderful memories. While there those who still go for traditional church weddings, many couples nowadays are more open to considering alternative venues for their wedding. Destination weddings are a popular choice for couples who want to make their union more romantic and personalised, whether they want to have a small ceremony or a big wedding surrounded by all their friends and family. A destination wedding is a wedding that is set away from the couple’s hometown. It could be a beach wedding on island, with sparkling blue waters providing the perfect backdrop, or a countryside wedding away from the hustle and bustle of the city. For couples who prefer a more intimate ceremony, they may opt to tie the knot in a bed and breakfast. Boutique B&Bs, lodges, and inns provide a unique venue for a wedding, adding a homier vibe, while offering hotel-like amenities. Bed and breakfasts make it easy to host all events of a wedding in one location. In addition to providing a romantic area for exchanging vows outdoors, the couple and their guests can conveniently head inside for the reception. Other activities such as pre- and post-wedding photo shoots, wedding rehearsals, and send-off parties can also be hosted inside the vicinity or at nearby locations. Bed and breakfasts provide guests a place where they can stay overnight or the whole duration of the wedding. 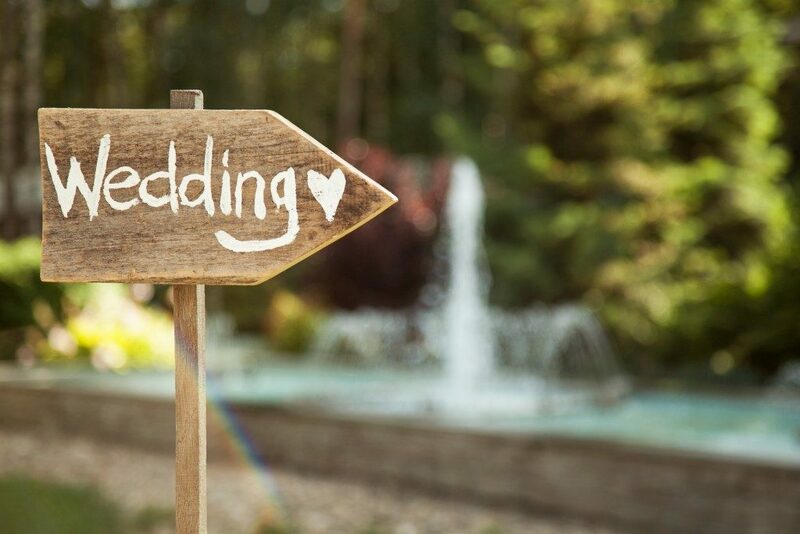 Since they are booked in the same location, it will be easier for guests to attend wedding rehearsals – they don’t have to drive or travel far. If they stay in one of the rooms, guests can have a place to rest, touch-up, and or change clothes between events. Being able to stay in the same bed and breakfast also allows more time for the couple and guests to interact before and after the wedding. Most bed and breakfasts have free wi-fi connection and amenities such as parking, room service, gardens, bars and dining areas. Just like hotels, B&B rooms are complete with snacks and refreshments, TV, slippers, and bath robes. Onsite staff may assist the couples in booking rooms for guests and ensuring they have adequate parking. They may also provide the couple a list of local vendors who can provide wedding services like flower arrangements, photography, and music and entertainment. Wedding packages at bed and breakfasts are typically more affordable than hotel weddings, allowing couples to save more money and allocate it to their honeymoon budget. On the other hand, couples can opt to stay in the bed and breakfast for their honeymoon as some B&Bs are located in areas close to local attractions which they may visit after the wedding date. A bed and breakfast is a great choice for hosting a small wedding. It offers the couple and their guests a relaxing place to stay, complete with all the amenities they need in one convenient place.